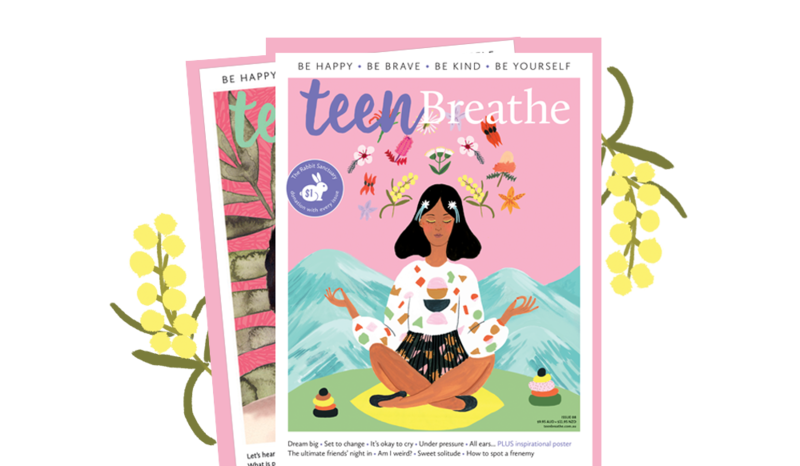 Teen Breathe Magazine encourages its readers to be happy, be brave, be kind and be yourself and in doing so living a happier, healthier and more authentic life. Each issue provides tips, fun activities and inspiring ideas to help you explore how paying attention to everything you do, being curious, kind and staying positive can bring out the very best of you. 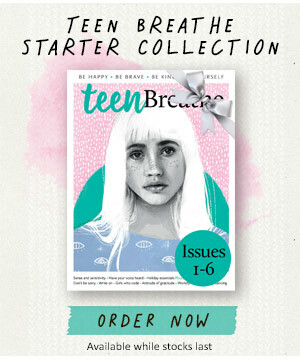 If you’ve been inspired by Teen Breathe and are interested in becoming a contributor, please make sure you’ve read through our magazine and have a good understanding of the Teen Breathe’s philosophy and style. When you’re doing this homework, remember to check whether your topic has already been covered and, if so, whether you can give your piece another perspective. We welcome both pitches and finished work. If you’re sending a pitch for a specific chapter and topic, please send as a standard .doc or .rtf attachment with portfolio samples of your previous work. For finished work, please consider your wordcount – we accept articles from 500 words up to approximately 1,300 words.